Timestrip Time monitoring indicators measure the length of time since activation. This can be from minutes to years. Short time indicators from 1 Hour to 7 Days can be implemented in the pharmaceutical and healthcare industries- from changing dressings to timing diagnostics results. 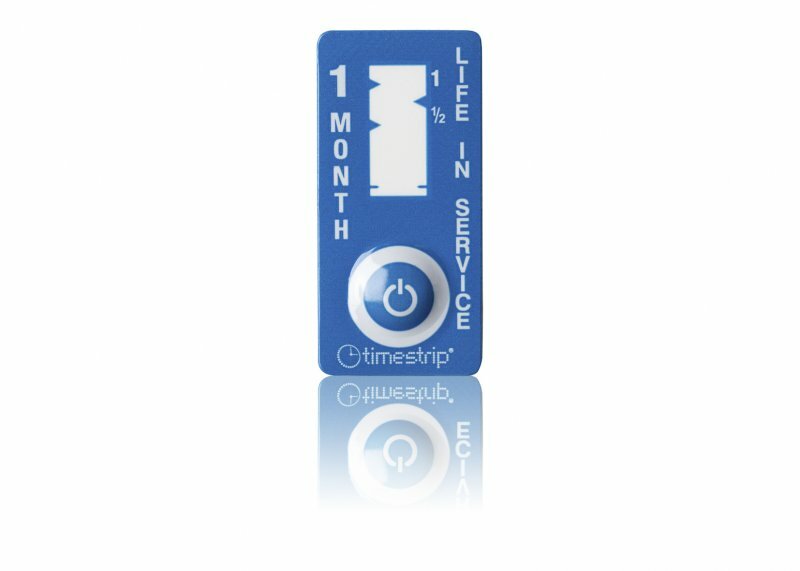 Longer time lapse indicators can be used for products that need routine replacement, service and repair. 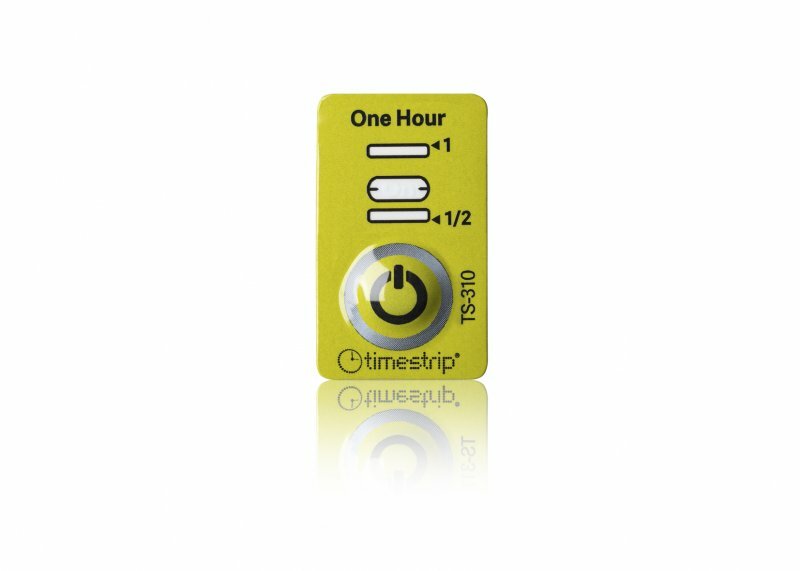 Timestrip elapsed time indicators are small nonreversible reminders. They allow you to see how long it has been since activation. Once activated by squeezing the activation blister, they immediately begin to show the amount of time that has passed by filling the window with colour. 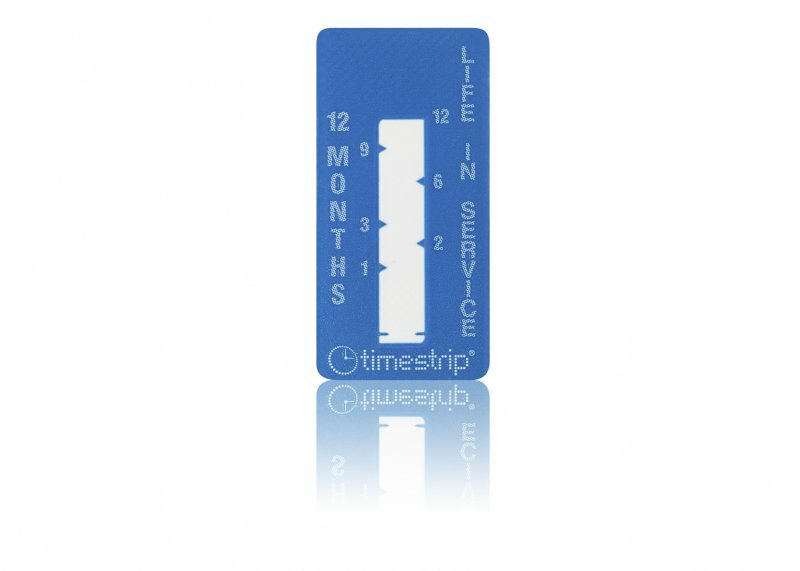 The Timestrip can be directly applied to individual diagnostic kits or products with its convenient adhesive backing. When the Timestrip indicator has completely filled with colour, 1 hour has passed, reminding the user to take action. Short-term time indicators: One hour, 12 hour and 7 days, are irreversible single use disposable timers in a convenient adhesive smart label format; they can be attached directly onto a product or device and provide a visual reminder to replace a part, monitor an expiry date or check medical/diagnostic results. Longer-term time indicators: 1 month, 3 months, 6 month and 12 months, are used as medical, industrial filtration or product consumables replacement reminders, or as monthly-annual service requirements / appointment reminders. Also available in keychain format for 3 and 12 months. The use cases vary, for example in healthcare, an easy-to-read Timestrip can prompt nurses or patients themselves when repeat doses or dressing or cannula changes are due. This is particularly useful in helping hospital staff to comply with infection control procedures. 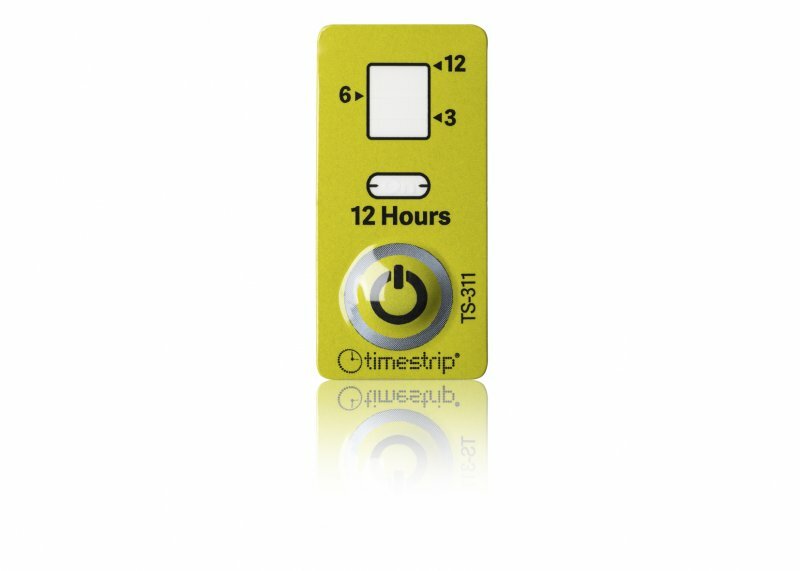 By putting a Timestrip on a product or device, the end user has a constant visual reminder every time they use it. 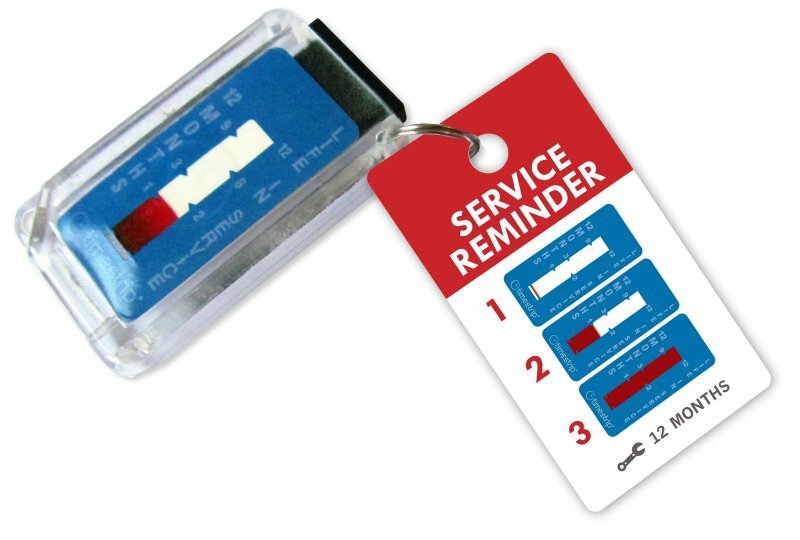 This encourages closer adherence to recommended or regulated replacement or servicing cycles, which will lead to a noticeable improvement in product or appliance performance.